When it comes to major heartthrobs, we all know that there was really no decade better than the '90s. So, it's no surprise that some of the most popular '90s hunks are ones we are still crushing on. Needless to say, anonymous social app Whisper was curious about who still makes us googly-eyed and weak in the knees — even though the '90s are long gone. So, they polled their users to find out what '90s stars we're still completely in love with, and if anything, it's a great reminder of how many crush-worthy celebrities there were in that magical decade. Honestly, where have all the good men gone? Like many other '90s girls, I was pretty much unashamedly obsessed with Leonardo DiCaprio. I even had a giant Titanic poster on the back of my bedroom door. Of course, I loved the movie. But, we all know the real reason I absolutely needed the poster wasn't because of the moving story or the excellent cinematography — it was just Leo. And, even though I'm old enough now to realize he's probably never going to show up at my door and present me with my very own Heart of the Ocean, I'll still always harbor a bit of a crush on him. Of course, not everybody was a Leo-lover. Luckily, there was basically an endless assortment of '90s hunks to appease your giddy, adolescent heart. And, they're all still crush-worthy today. So, here are the top 10 '90s heartthrobs we're still crushing on, according to Whisper's survey. Obviously, I can't pretend to be surprised that Leo takes the cake as the top '90s heartthrob. He was the man of every girl's dreams. Let's face it — he still is. Oh, Aaron Carter. Could he have been any more '90s with his spiky blonde hair? And, remember that Lizzie McGuire holiday episode he starred in? I had never been more jealous of Hilary Duff in my life. Admittedly, I was more of a Brian Littrell girl. 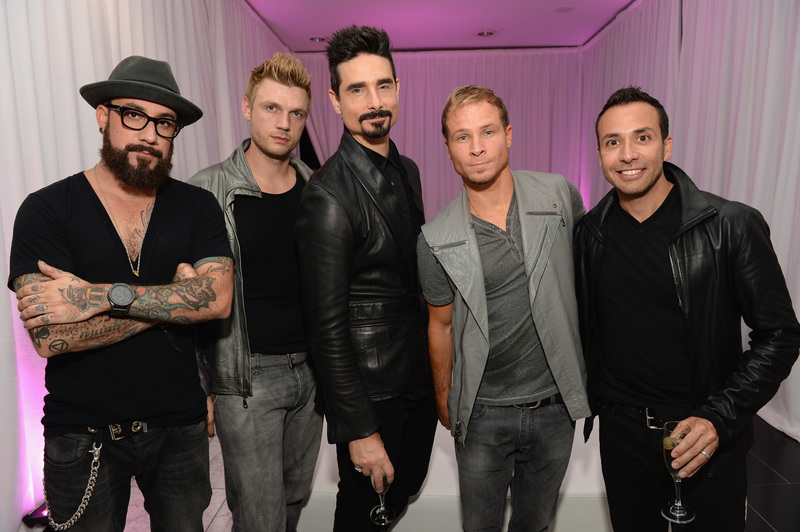 But, I can appreciate that Nick was almost everybody's favorite Backstreet Boy. And, he's trailing right behind his younger brother on this list — I wonder if that causes some family tension and heated brotherly competition. We all loved Uncle Jesse. But, as cool as he was, we didn't really want him to be our uncle. Because, it's pretty weird to think that your uncle is hot. Plus, there's just no competing with that hair. Remember the glory of late '90s band Dream Street? And, you'd be hard-pressed to find a girl who didn't absolutely swoon over Jesse's Beautiful Soul. Unfortunately, he hasn't really done too much since then. Admittedly, Devon Sawa didn't make my heartthrob short list. He played the human version of Casper the ghost — which I only vaguely remember. In other totally '90s news, he also dated Danielle Fishel aka Topanga Lawrence. I'm honestly surprised that Justin is so far down on the list. I thought for sure he'd be in the top three. But hey, the '90s had a lot of competition. Johnny Depp makes his way onto pretty much any heartthrob list that has ever existed, so there's no surprise here. Also, now I really want to watch What's Eating Gilbert Grape. Who could forget the talent and tragedy of Kurt Cobain? Aside from the major music legacy he left behind, he also lives on as one of the top '90s heartthrobs. Of course, the ultimate '90s boy band made the list collectively, because we all know that they were a package deal. However, this means that Nick Carter essentially made the list twice, making him one of our top '90s crushes. What '90s stars are you still swooning over? Are there any that didn't make the list?